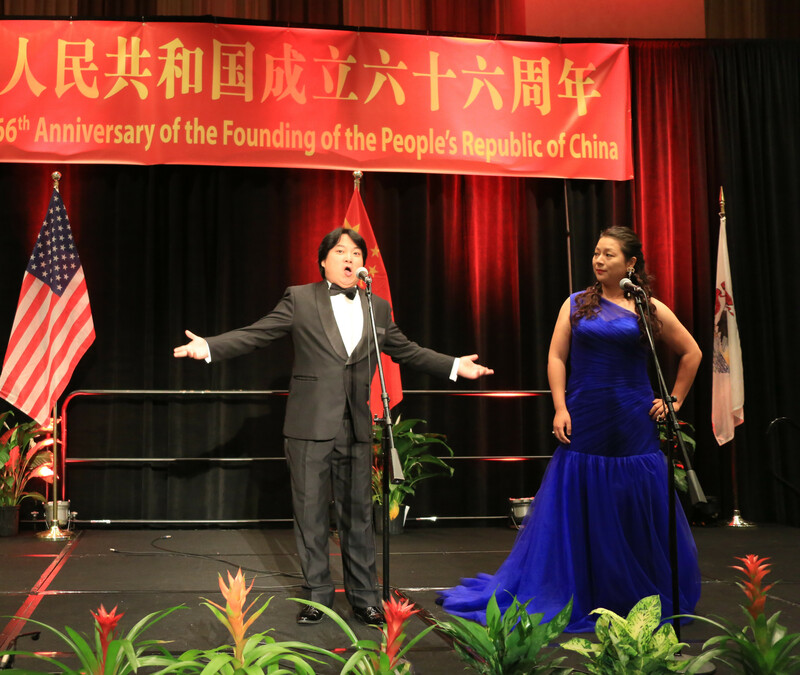 On September 24, Mr. Zhao Weiping, the Chinese Consul General to Chicago, hosted a reception to celebrate the 66th anniversary of the founding of the People's Republic of China at Hyatt Regency Chicago. About 700 guests attended the event, including the Director of Illinois Department of Commerce Jim Schultz, State Senators of Illinois Sue Rezin and Chapin Rose, Superintendent of Chicago Police Department Garry McCarthy, Mayor of Logansport, Indiana Ted Franklin and Cook County Recorder Karen Yabrough. Governor Bruce Rauner of Illinois, Mayor Rahm Emanuel of Chicago and Attorney General Lisa Madigan of Illinois sent representatives to read their letters of congratulation. “Standing here, I am encouraged not only by the many concrete achievements in the China-US relationship as well as in China’s relationship with the nine states of our consular district, but also by the great potential for bilateral cooperation in extensive areas. With our joint efforts, the mutually beneficial cooperation between our two countries will certainly bear out more fruits in the years to come.” He underlined. 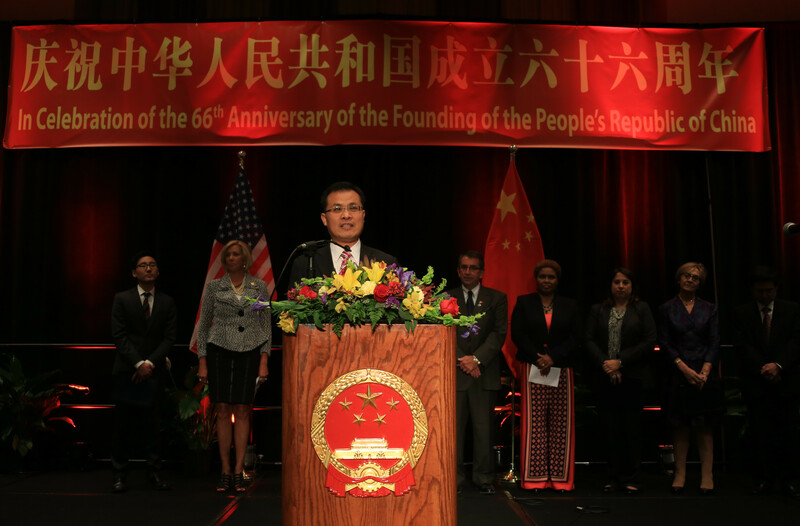 The guests warmly congratulated the 66th anniversary of the founding of the People's Republic of China. 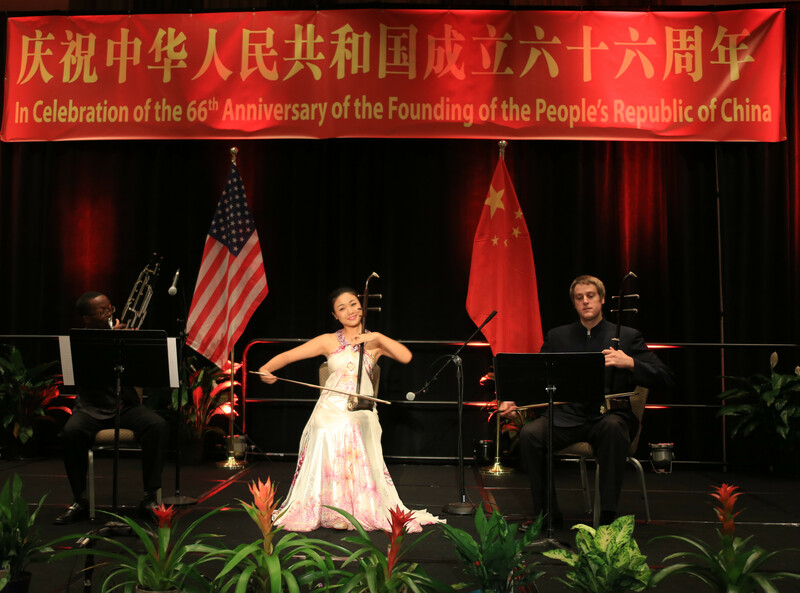 They spoke highly of the new achievements in China's economic and social development and expressed their wishes to further promote the exchanges and cooperation between China and the Midwest America. The reception also featured live art shows of the ensemble of Chinese traditional instruments “ Horse Race” and “ the Ode to Joy” played by Ms. Li Ting, Ms. Xu Chenchen, Mr. Sam Murray and Mr. Avery Davis from Meifeng Traditional Chinese Orchestra of the Confucius Institute at Valparaiso Univerisity and a highlight of beautiful songs “ How could I not miss her” and “Brindisi--from La Traviata” performed by well-established young musician couple Mr. Tong Tao and Ms. Liao Dan.